Lovely apartment, great facilities. Sue & Tom were absolute stars however, and couldn't do enough for us. Highly recommend based on their hospitality alone, never mind how the apartment is! They also provided a welcome pack with eggs, bread, milk, orange juice and butter, which was lovely. We arrived before check in and were able to keep our luggage at the guesthouse while the apartment was readied. Sue gave us maps of Bangor and some recommendations of where to eat. Absolutely great value for money and a really lovely place to stay. The outer did not do the inside justice. Definitely stay there again and recommend to everyone. Just superb. Everything! The hosts were welcoming, friendly and helpful. 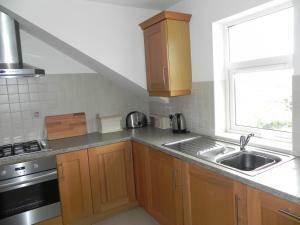 The apartment was easy to find and perfectly located for visiting Bangor and other nearby places (e.g. Pickie Park, Belfast and lovely beaches at Crawfordsburn and Helens Bay). 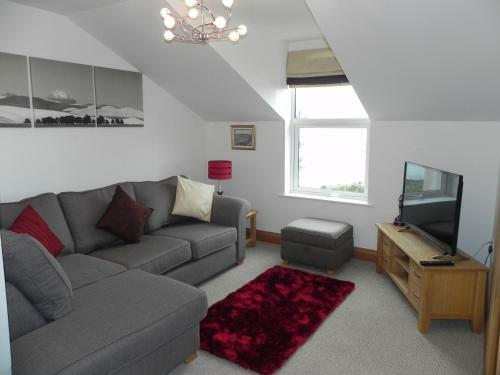 The apartment is modern, comfortable and decorated to a very high standard. The facilities are excellent and the size/layout was perfect for our family of 4 - 2 double bedrooms (1 of which is ensuite) large family bathroom, kitchen (including fridge/freezer, washing machine and dishwasher) dining room and lounge area. Off-road parking is available but it is underground and quite small so is only suitable for small/mid-sized cars. There are spaces to park up on the road behind. There was a welcome pack provided in the kitchen (bread, butter, milk, orange juice and eggs) - which was a lovely touch as we arrived on Sunday then went straight out to explore so didn't make it to shop for food till the next day. Great location and views. Quiet. Fantastic amount of room for family. Extremely clean. Very friendly host. The apartment was very spacious and beautifully furnished - an absolute delight to stay at for our 4 day visit - would happily have stayed much longer! 😀 Pickie Park was a huge hit with our boys too - the swan pedalo’s were fantastic and the zorbs and 😀 lots of fun had there and right on our doorstep. Bangor is a beautiful place and great for visiting other areas around - managed a trip to the giants causeway - approx 1 1/2hrs drive and very handy for Belfast too. 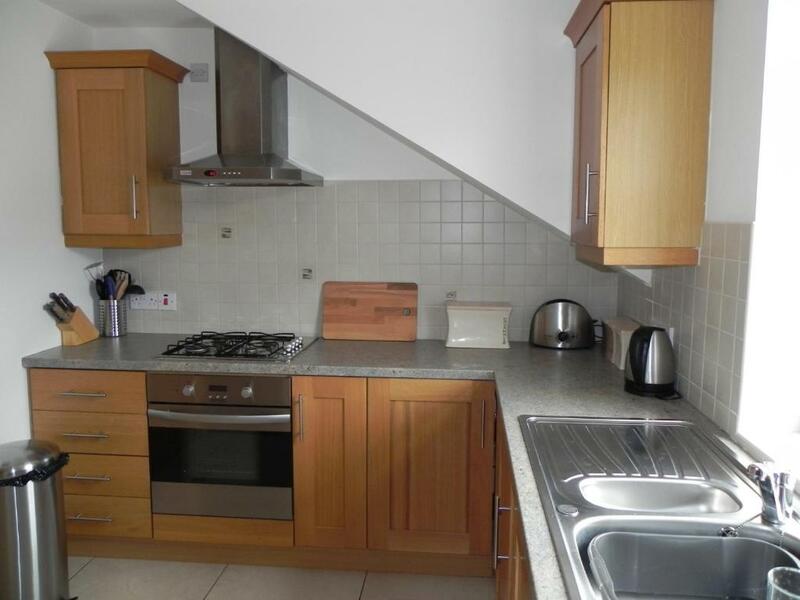 The space, the amazing well equipped kitchen, wifi, music player, everything easy. Wish we had been able to stay longer. Our brief interaction with our hosts was equally helpful, welcoming and accomodating. Fabulous view from sitting room and dining room over the marina and Pickle fun park. Spotlessly clean throughout. Very accommodating and congenial owners Sue and Paul who left a welcome pack with eggs, brown bread, milk and orange juice and are only a short walk away at Shelleven guesthouse should any issues arise. Comfy couch and large TV with Netflix. The kitchen has a washer dryer which is very useful if you are traveling with children. It was easy to cook with plenty of top quality pots, pans and even a wok. We didn’t eat out, it’s hard to beat the table with a dual view in the dining room, but there are plenty of restaurants a short walk away. Both bedrooms are quiet and well appointed and can be either twin or double, so could suit two couples, a group of friends or a family. One bedroom is ensuite but there is also an excellent spacious family bathroom with electric shower over bath. A real home from home and an excellent base to explore the area and further afield. 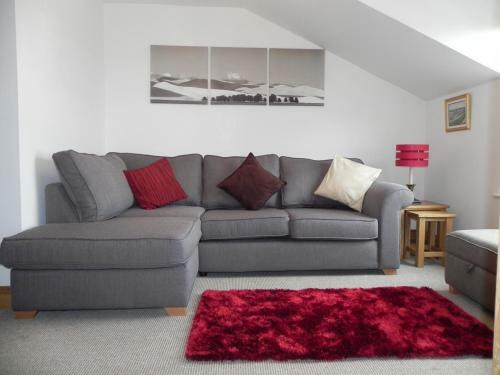 Lock in a great price for Shelleven Penthouse Apartment - rated 9.9 by recent guests. 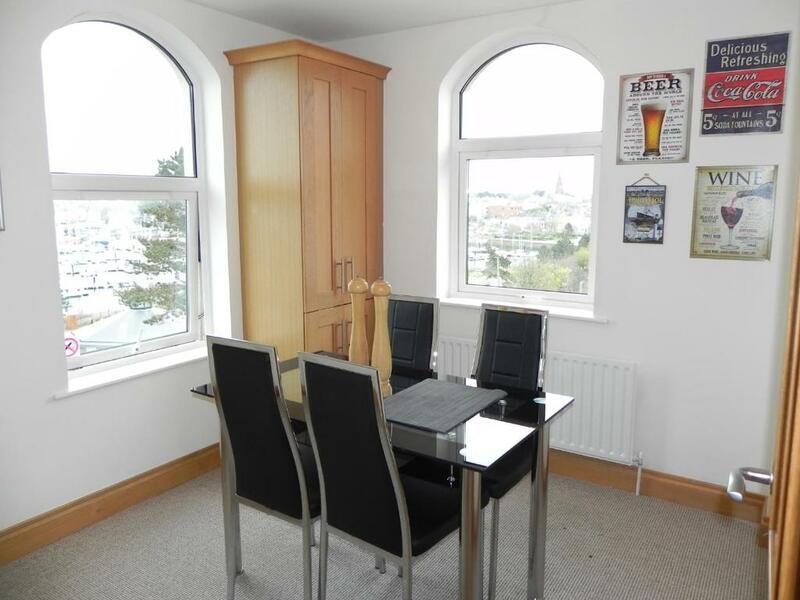 Situated in the centre of Bangor, Shelleven Penthouse Apartment offers accommodation with sea views over Belfast Lough. 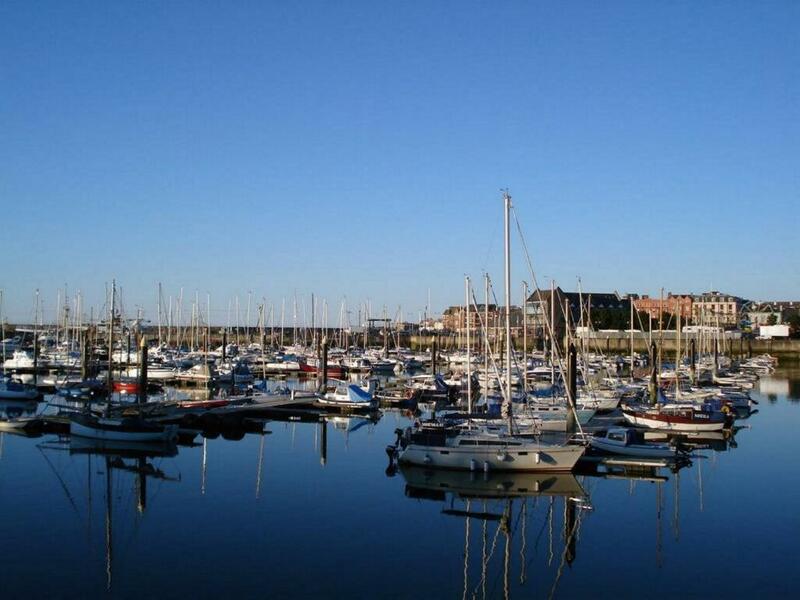 The property is 350 yards from Bangor Marina and offers free private parking on-site. Free WiFi is available throughout the property. The kitchen is fully equipped, including a dishwasher, fridge/freezer, microwave and washing machine. The lounge features a 43 inch Smart flat screen TV and iPod docking station. 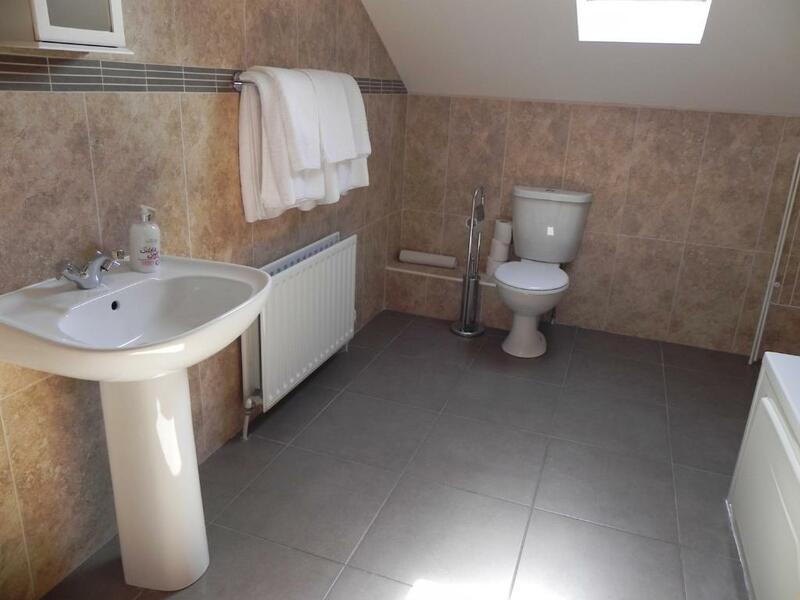 There are two bedrooms, one with en-suite, as well as a large family bathroom. Shelleven Penthouse Apartment is within walking distance of the local restaurants, bars and cafes in town. The nearest airport is George Best Belfast City Airport, 8.7 miles from the property. Shelleven Penthouse Apartment has been welcoming Booking.com guests since 5 May 2017. When would you like to stay at Shelleven Penthouse Apartment? Shelleven Penthouse Apartment is centrally located in the heart of Bangor town, overlooking the beautiful Marina. It is delightfully appointed, a self contained apartment sleeping 4 people. 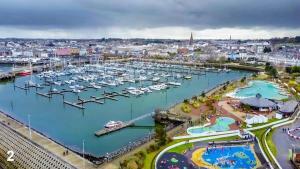 The property offers fantastic views over Belfast Lough from its elevated position and has stunning views over the Marina and Pickie Park. The property has private underground parking and is located on the top floor with convenient access via an internal elevator. The living room and dining room are positioned to the front of the Apartment which offers panoramic views over the Irish Sea and beyond. The kitchen is fully equipped with everything you need for a short stay and includes our complimentary welcome pack to get you started. Bangor town centre, is a mere stroll away, within a 1mile radius you will find plenty of restaurants, takeaways, pubs and coffee shops on offer. Local attractions include Museums, Bangor Abbey and Bangor Castle which has beautiful grounds and a stunning walled garden. Bangor offers a good choice of excellent golf courses and lovely coastal walks, coupled with a great leisure complex, The Aurora, which has a wide choice of facilities for adults and children. House rules Shelleven Penthouse Apartment takes special requests - add in the next step! A damage deposit of GBP200 is required 0 days before arrival. This deposit is fully refundable during check-out as long as there has been no damage to the property. Booking.com takes your payment on behalf of the property for this reservation. During your stay you can pay for any extras using Visa, ​Euro/Mastercard, ​Maestro and Solo . Please note that smoking is not permitted throughout this property. Guests caught smoking will be charged a GBP 200 cleaning fee. A damage deposit of GBP 200 is required. This will be collected by credit card. You should be reimbursed on check-out. Your deposit will be refunded in full via credit card, subject to an inspection of the property. Please note that the check-in and key-collection take place at: 61 Princetown Road, BT20 3TA Bangor. Please inform Shelleven Penthouse Apartment in advance of your expected arrival time. You can use the Special Requests box when booking, or contact the property directly with the contact details provided in your confirmation. Nothing - I wish we could have stayed longer! Very clean and well equipped . Great view. Underground parking space was too tight for our saloon car however at the top of the lane only a few meters walk there was plenty of free parking on the side of the road. The penthouse apartment we booked in is located in a nice area by the marina, sea view, lovely clean apartment with everything in it. All together an enjoyable stay there will deffo go back ! The heating did not work well. Very well equipped apartment. Beautiful view. Very modern and tasteful decor.